Be sure you are taking the courses from a court-approved provider. The court will not accept certificates from an unapproved provider. You may take either approved online courses or approved in-person courses. Online courses may be taken at any time. The schedules for live courses are provided below. The Divorce Orientation course is $30. The Divorce Education course is $35. More information about fees and fee waivers can be found in the Fees section below. You can take both the Divorce Education and the Divorce Orientation courses online using the link below. If the court has waived the fee for these courses, there are instructions to submit the waiver to USU at the link below. USU Extension is the only court-approved online provider. If you need an interpreter, simply request one, and one will be provided without charge. For information and forms, see our page Request a Court Interpreter. You may attend the courses in any location regardless of where the divorce or temporary separation case is filed. You do not need an appointment. Registration takes about 15 minutes, so please arrive early. You may bring a support person with you. Intoxicated and disruptive people will not be admitted. If you have a divorce or temporary separation case pending, bring your case number with you, or you will have to provide it to the instructor later. If a course is held in a courthouse, you will have to pass through airport-type security to enter the building, so do not bring anything that might be considered a weapon or contraband. For most locations, free parking is available and entry into the building is obvious. Access to the Matheson Courthouse in Salt Lake City (maps.google.com) may be less obvious. There is an underground pay-lot at the courthouse, which is accessible only from 400 South, eastbound, and it is not open on Saturday. Limited metered street parking is available nearby. For weekday daytime courses, enter the building through the East or West entrance. If you have questions, call the district court clerk. For a list of courthouses and telephone numbers, see our Court Directory. Children need support getting through a divorce, just like adults. The Divorce Education for Children class is available for children ages 9 to 12 and offered free of charge. The program is taught by a mental health professional and provides children with skills they can use to better communicate their feelings to parents and is designed to minimize the adverse effects divorce has on children. Classes are offered in Logan, Ogden, Provo and Salt Lake City. 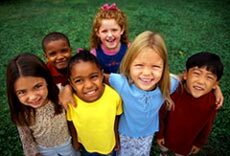 To register your child or children for an upcoming Divorce Education for Children class in your area go to www.utcourts.gov/divorceedforchildren/. The petitioner must serve notice of the education requirements on the respondent. For a sample notice form, see the section below on Forms. The Divorce Education course is $35 per person. The Divorce Orientation course is $30 per person. The fee for the live Divorce Orientation course will be discounted $15 for a petitioner who attends a live class within 30 days of filing the petition, and will be discounted $15 for a respondent who attends a live class within 30 days of being served with the petition. The fee for the online Divorce Orientation course will not be discounted. Sites in Utah, Salt Lake, and Davis counties accept credit cards, debit cards, or cash for the live courses. Cash is the only form of payment accepted in other counties for the live courses. The fees for the live courses are paid to the person teaching the class. If you cannot afford to pay the fees you may ask the judge to waive them. The process includes submitting a detailed description of your income, property, and debts. If the judge grants the request to waive the fees, you must give a copy of the signed order to the person teaching the class. For more information and forms to waive fees, see our page on Fees and Fee Waiver. Parents with minor children are required to complete certain education requirements. These requirements do not apply to parents with no minor children. Parents in a divorce case or a temporary separation case must attend an orientation course. The petitioner must attend the orientation course no more than 60 days after the petition is filed. The respondent must attend the course no more than 30 days after being served with the petition. If a party wants any temporary orders the court will not consider a motion for a temporary order until the party completes the orientation courses. Parents in a divorce case must also attend an education course. The court may require unmarried parents in a visitation or custody proceeding to attend the education course. The court will not issue a decree until both parties have completed the course requirements and have presented a certificate of course completion to the court. You should complete the courses as soon as possible but no later than 60 days after filing the petition if you are the petitioner, or, if you are the respondent, no later than 30 days after being served with notice of the course requirements. Lists of the dates and times for the courses are found in the section on Completing the course requirements. How children experience divorce. What to expect from a child based on the child's developmental age, and how to help a child adjust to the divorce. Helpful ways to communicate with a child about the divorce. What children need to know and what they don't need to know. Parental behavior that promotes good self-esteem in children. Encouraging and supporting expression of your child's feelings. In cases where a parent may be incarcerated or there are extenuating circumstances, a DVD can be requested and purchased to view both courses. The dvd contains both English and Spanish versions of the class. To request a DVD, please call 801- 238-7172. If attending a live course or completing an online course is not appropriate or is not feasible or is not in the best interest of the parties, the judge can waive the requirement. Either party can ask that the requirement be waived by filing a motion. For more information about motion procedures, see our page on Motions, but use the Forms below. Rule 4-907. Mandatory divorce education.